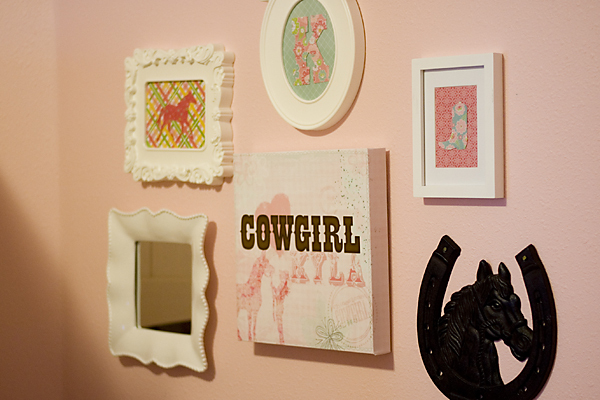 I had been wanting to make my daughter a "cowgirl" decorated wall for her room. She loves horses and anything related to them. So I began searching for ideas online, namely, Pinterest. 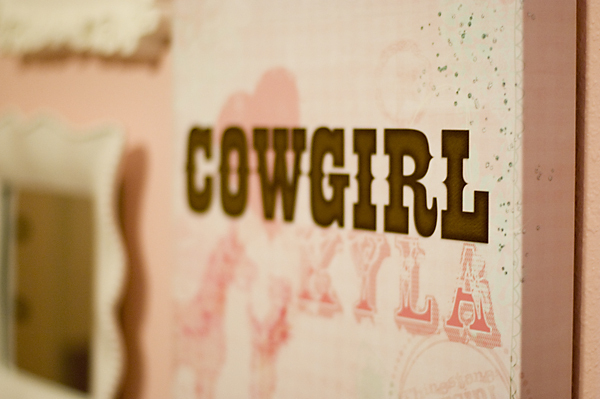 I saw some cute cowgirl plaques and then some that you could buy with custom names. I really liked that idea but none of them were in my budget. Then it popped into my head! 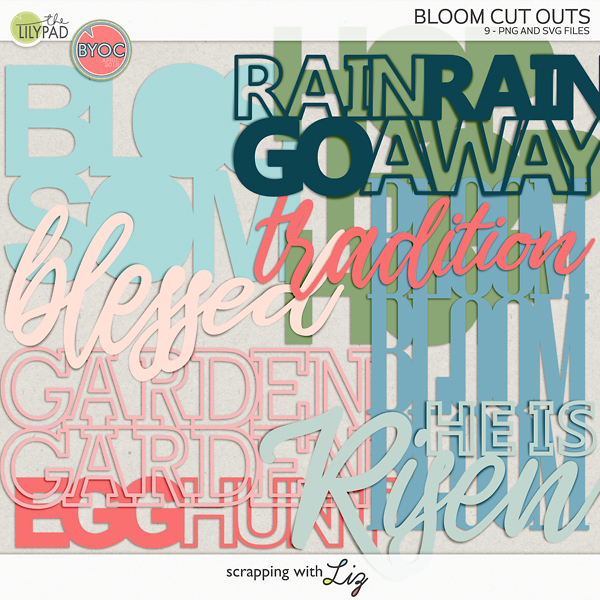 Why not make a custom digital scrapbook page and have it printed on canvas. Genius! I began researching places that I could get a canvas print before I started to make something. There's a bunch of places and most of them are pretty pricey. I decided to go cheap. Wal-mart cheap. They have a 12x12 faux canvas print for $19.96. I decided that for 20 bucks that I could at least try it. So I searched my digi-stash for anything cowgirl and anything that might look good on a canvas (stamps, paints, splatters, etc...). 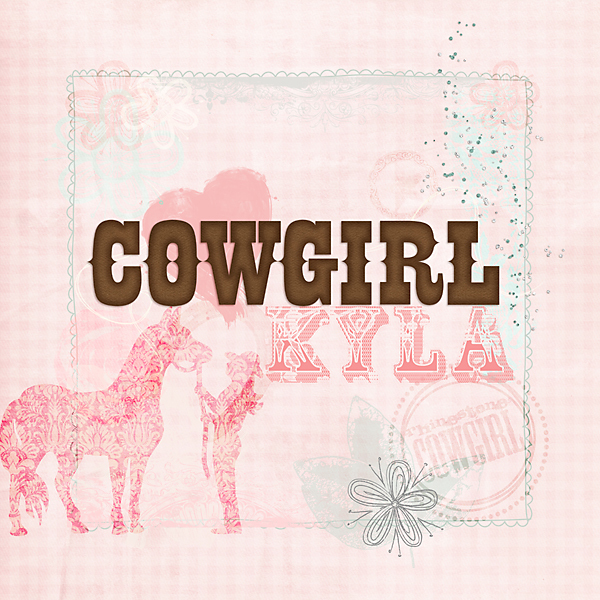 I also did a little digi-shopping and bought Cowgirl Up by Chelle's Creations and Lace Stamp Alpha from Faith True. I had to test out my page several times when I uploaded it to the Wal-mart print site. It is nice because it gives you a preview of how it would look when printed (what parts would be on the sides of the canvas). I ended up making my image 14in x14in and making sure I left about 1.5 inches on each side for the wrap part of the canvas. You can see (on the finished product) that the edge comes right up to the doodled border. Here's the .jpg image of my digital page. And here is a pic of the finished product. I was really pleased with it. The colors weren't as bright but still okay and it printed just as it was shown on their website. Plus I got it in 1 hour and I was able to go pick it up at my local Wal-mart. It is cheap and it is faux BUT for $20 and 1 hour I feel like I got my money's worth and my daughter LOVES it. I probably wouldn't choose it for a professional print but for this little project, it was perfect. 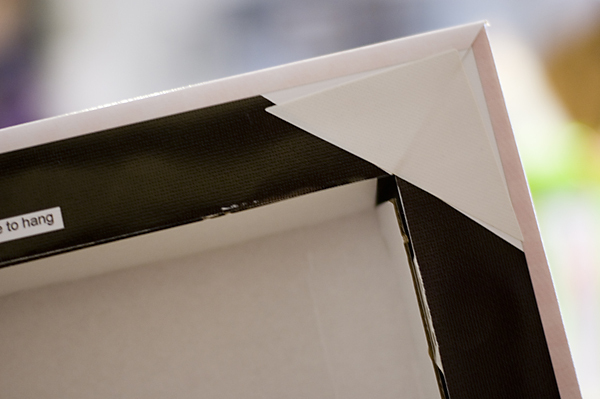 It's basically a cardboard box. Here's what it looks like finished on her wall. I'm going to be doing a post on how I made my paper art artwork see in the frames. Look for that soon. 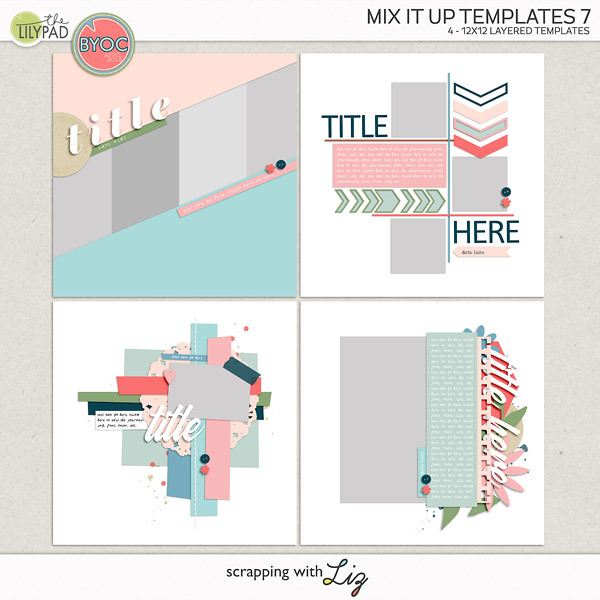 Hope this inspires you to use your digital scrapbook supplies to make some art for your wall. Wow - Great idea!!! So how large do you suppose you can go with the canvas before the clarity of the image becomes an issue? I see you did a 14x14 without a problem (digi papers being 12x12). I stretched the 12x12 paper & it didn't seem to affect the quality of the print. Not sure how high you could actually go? Good question. Let me research a bit & see what I can find out. looks fantastic! really makes me want one (or a few LOL) for the living room wall! Nice art Thanks for the inspiration. And can you come decorate my house for me. That is really cool Liz, love the wall art and your collage.